One of the most important holidays for Moroccans is Independence Manifesto Day (also called Independence Resistance Day). The annual celebration of this holiday falls on January 11. Independence Manifesto Day commemorates the day when the document demanding independence for the country was sent to France, the USA and Great Britain. These events took place in 1944 during the reign of late Mohammed V and were forced by the Istiqlal Party, that was founded in 1943 with discrete support from the U.S. Although the manifesto document was sent in 1944, Morocco didn't gain its independence. Mohammed V was exiled by France in 1953 to Madagascar. He was replaced by Mohamed Ben Aarafa who was extremely unpopular among Moroccans. This resulted in the beginning of active opposition to the French and Spanish protectorates. After a violent attack of French and other European residents of Oujda France allowed Mohammed V to return to Morocco. 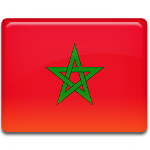 Long negotiations followed his return and in March 1956 Morocco gained its independence from Spain and France.